Forged from iron and fire, the sturdy horseshoe is a symbol of strength, protection and good luck. 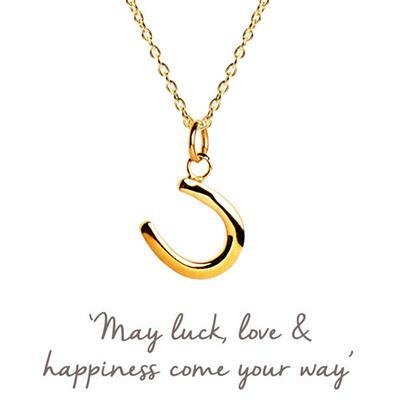 Gift this mantra as a reminder that you believe the wearer can achieve anything and that luck is on their side. The perfect gift for anyone embarking on a new adventure, getting married, starting a new job or sitting their exams. Or, wear one yourself as an ongoing symbol of love, luck and happiness.